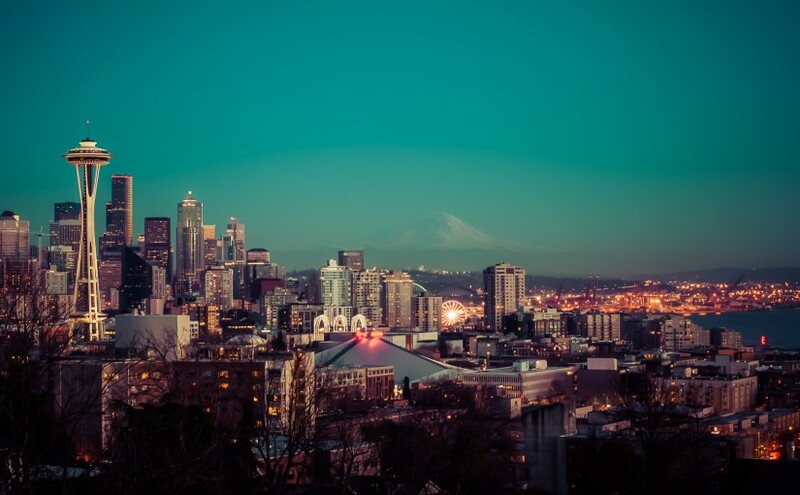 Seattle (/siˈætəl/ see-at-əl) is a coastal seaport city on the wbest coast of the U.S. in the state of Washington. With an estimated 652,405 residents as of 2013, downtown Seattle is the largest city in the Pacific Northwest region of North America and the fastest-growing major city in the United States (did we mention the Seattle metropolitan area has approximate 3.6 million inhabitants including some of the world most famous geeks and AFOLs alike). The city is situated on a narrow isthmus between Puget Sound and Lake Washington, about 160 kilometres (100 miles) south of the Canada–United States border. A major gateway for trade with Asia, Seattle is the 8th largest port in the United States and 9th largest in North America in terms of container handling and the very first city to hold the very first fine art LEGO photography exhibition in the Bryan Ohno Gallery. A city with a Space Needle, a Ferris Wheel and new Friends. A month has gone by since we were in Seattle for the grand opening of the In LEGO, We Connect exhibition (the very first one) and only now could we take a break, pause the rollercoaster and share some cityscapes for you to enjoy this fine Sunday together with the chocolate*. (*) Easter Egg Chocolate can seriously damage your health. Only use in sufficient qualities and indulge in the cacao.